Finally - new pillows! I've had the materials to make throw pillows for my couch for at least a year and I just finished them a couple weekends ago. I really love they way they all turned out. The yellow and white pillow is actually two napkins from Target. I bought them like a year ago, like I said before, but it just goes to show that you can make pillow covers out of pretty much any fabric you like. Table cloth, napkin, place mats, sheets... think outside the box! For the last pillow I knew I wanted something multicolored to go along with the other colorful things in the room. I had seen a few quilt stars around and thought it would be a perfect way to get all the colors in there. It's backed with a brown fabric. I bought some nicer pillow inserts because I want to make sure they will last a while. The pillow cases are removable, so I can wash them or change them out any time I want. They are comfy and fluff up so nicely that I'm glad I went that route. Do you sew? What was your latest project? If you don't sew, what do you wish you could sew? I'm jealous. I don't sew AT ALL and I always wish that I could figure it out. I just don't have the patience to learn. I really like you much they brighten up your space! The multi-colored one is my favorite for sure! 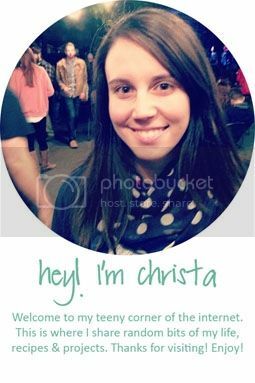 I am eager to see your other projects, Christa!